‘Scharrel’ is used for the person with whom you have a fling. This fling can be for the duration of an evening or night, but usually for a short period with some kind of regular interaction. 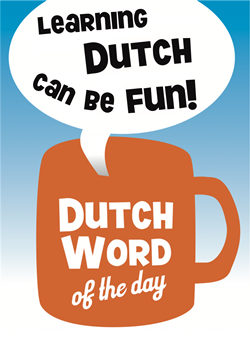 If it is really just for the night, the Dutch use the English expression ‘one night stand’ (if you-know-what happened). ‘Scharrel’ is derived from the verb ‘scharrelen’, see ‘Related words’. – "Is dat je nieuwe vriendje, of gewoon een scharrel?" – "Die gast heeft altijd alleen maar scharrels en is niet in staat om een echte relatie te hebben." – "Scharrelen": to scratch up, scrape together. Also: to rummage (about/around). – "De bedelaar had wat geld bij elkaar gescharreld voor een koffie." – "Onze buurman heeft de hele dag in de tuin gescharreld om onkruid te wieden." – "Scharrelkip": free-range chicken/hen as opposed to battery cage chickens. – "Scharreleieren": the eggs a ‘scharrelkip’ produces. This name is explicitly stated on a box of free-range eggs.